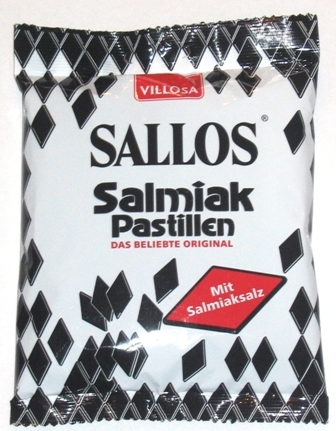 Villosa Sallos Salmiak Pastillen are a very strong, salty, small and thin licorice diamond. These are similar to our Salmiakjes (imported from Holland). The Villosa brand salmiak pastilles are imported from Germany. 150g per bag.